Apple has launched its much anticipated Apple Music service. 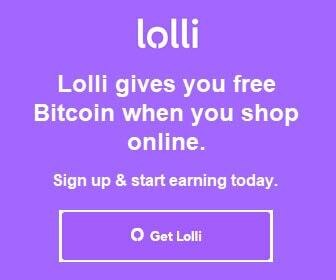 The service is available for a 3-month introductory free trial to anyone who wants to try it out. The free trial period serves as an incentive for users of rival music services like Spotify and Rhapsody to consider an allegiance change. Apple Music subscribers have access to over 30 million songs. That substantial music library is accompanied by access to Beats 1, a 24/7 live radio broadcast from DJs stationed in London, New York and Los Angeles, delivered to subscribers and non-subscribers alike. Also introduced with the launch is Connect, a new social media platform that allows music artists to interact directly with fans. 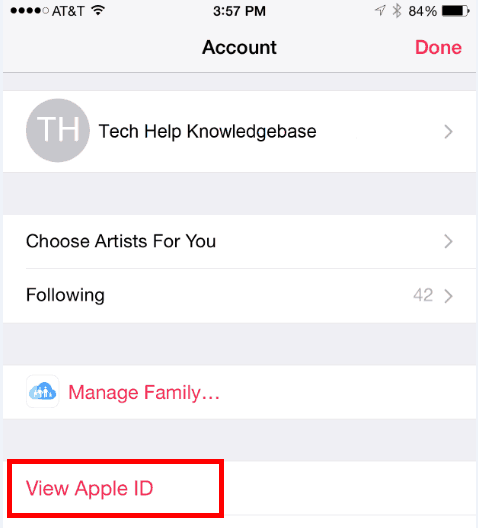 An Apple ID is required to subscribe to Apple Music. The music service is accessed through iTunes on your Mac or PC (requires iTunes v12.2 and greater), or via the Music app on your iOS device (requires iOS 8.4 and greater). Although the trial is free, music fans who sign up for the Apple Music service are required to select a renewal option as part of the sign-up process. An Individual plan is $9.99 per month, and the Family plan is $14.99 per month. 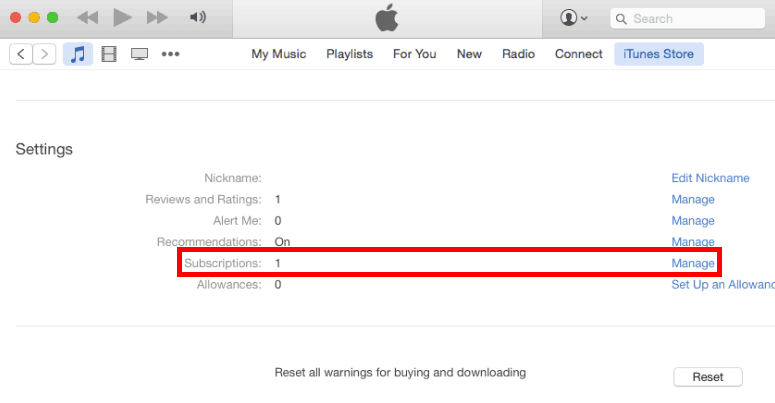 After the 3-month free trial is over, Apple Music subscriptions will automatically renew at the selected plan rate. 1. Launch the Music app on your iPhone or iPad. Open your profile by clicking the red head silhouette icon in the upper left corner. 2. Under your Account settings, click the View Apple ID link. 3. 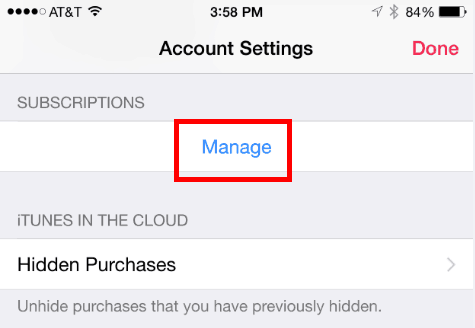 Under Account Settings > Subscriptions, click the Manage link. 4. 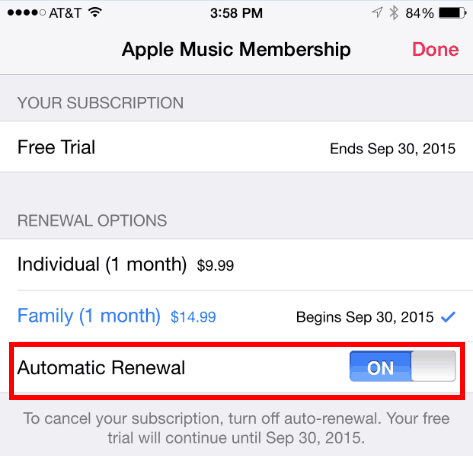 Under Apple Music Membership > Renewal Options, slide the Automatic Renewal button from On to Off. 1. Launch iTunes v12.2 or greater on your Mac or PC. Open your profile by clicking the head silhouette icon to the left of the Search bar. 2. 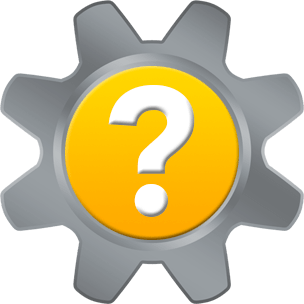 Click Account Info. Sign in if prompted. 3. Scroll down to the Settings section. Click the Manage link for Subscriptions. 4. For Automatic Renewal, click the Off radio button. With that taken care of, you can enjoy free music all summer long without the specter of auto renewal hanging over your plans. 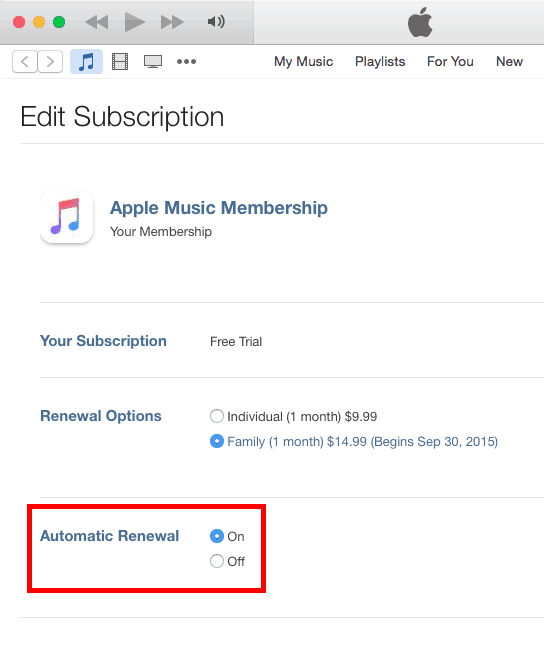 Come the turn of seasons, if you’d like to continue using Apple Music uninterrupted, slide or click Automatic Renewal back to On before the renewal date arrives. 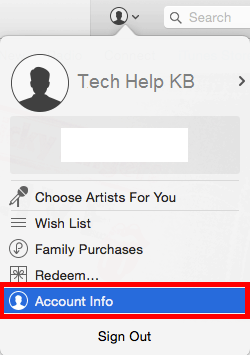 Thank you for visiting Tech Help Knowledgebase to learn how to stop Apple Music auto renewal.